Websites that have a load of content to attract visitors are best to be using a content management system, otherwise known as a CMS. If you ignore managing the content on your site, you are basically setting yourself up for hardships in the long run. CMS are great for a number of reasons, and many of them are open-source, free software platforms that help keep you on the right path. 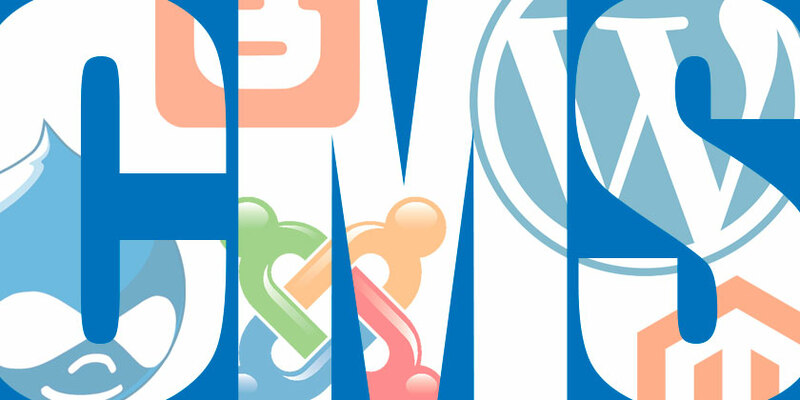 Since the beginning, WordPress has been the MVP of the CMS business. Millions of websites around the world rely on WordPress to publish, organize, and manage their online content through tutorials, videos, photographs, stories, and much, much more. WordPress has a variety of tools fit for both newbies and experts. Plus, it has a huge collection of over 40,000 free plugins for WordPress.org users to make use of. Some of these plugins even aid with building newsletters, SEO, and building award-winning landing pages. There is also a large database of over 2,000 templates to make your website truly unique. If you consider yourself somewhat more seasoned for a content builder or want more coding capabilities than what WordPress providers, Joomla may be the option for you. Where a WP can be small and minimal, Joomla websites are often much larger in terms of complex codes and design. From a programming standpoint, the code base of Joomla is considered superior to WordPress, has more scalability, and more back-end stability. Coders often choose Joomla over WordPress. Highly attractive features include content management flexibility, front-end content editing, and a native integration of multiple languages to make the sites much more friendly for global visitors. If you are an international business, Joomla is most likely the best choice for you. This is another CMS that lives up to professional coding standards. Engineers and web developers often use Drupal to get deep into the website’s foundation. There are over 30,000 extendable modules for your website as well as over 2,000 themes. For those seeking to learn something new, the Drupal community is very welcoming. Attend meetings on the forums to pick up design tips, or simply chat about your ideas with other developers. Though Blogger is nowhere near as popular as WordPress, it has come into its own as a substantial CMS throughout the years. Blogger now offers much more flexibility when it comes to designing websites, meaning that it is no longer just for bloggers. All kinds of creatives can use Blogger to build the website of their dreams. Plus, since Blogger is part of Google, you can a large set of customizable features that integrate right into the world’s most popular search engine. If you are in the eCommerce end, Magento is a CMS that has become the choice of companies like Nike, Cant, and Cort. This is also a perfect small business solution, since it automates a lot of the technical tasks a number of employees might not understand. Large-scale businesses also enjoy this CMS, because it makes setting up eCommerce quick and hassle-free. There you have it–the top 5 CMS of 2017. Though they are not the only examples of content management systems, these are tried and true. All have free and paid versions, giving you a means of constructing the website you need to break into the online marketing world. Choose the one that suits your experience level and needs, then grow from there! We would love to be of help in choosing, designing, and developing your new website.